“Maybe you should just stop riding your bike offroad from now on.” I’m sitting across from Spine Surgeon #2, and he’s proposing that I stop riding my bike offroad, forever, including gravel. I glare, seeing as I’ve already told him that riding my bike is my salvation and a key part of my life. Let’s back up and I can better explain how I ended up at Spine Surgeon #2 on Thursday, hearing that I just shouldn’t ride. I experienced rampant leg numbness at Ragnarok, worse than ever before, and decided it was scary enough I should get it checked out. Xrays showed structural issues, so I had a follow-up MRI. Long story short, I’m despondent. The dictionary defines despondent as “in low spirits from loss of hope”, and it couldn’t be more fitting. Part of me is convinced that I can grit my teeth and get through this — I have a high pain tolerance, so just deal. Crappy graphical interpretation of MRI results, as illustrated by a layman (me). Discs with happiness between them (white cushy padding) and the angry area, with no padding and disc out of alignment with the stack. He clearly believes it will continue to be a problem forever until I get it fixed. 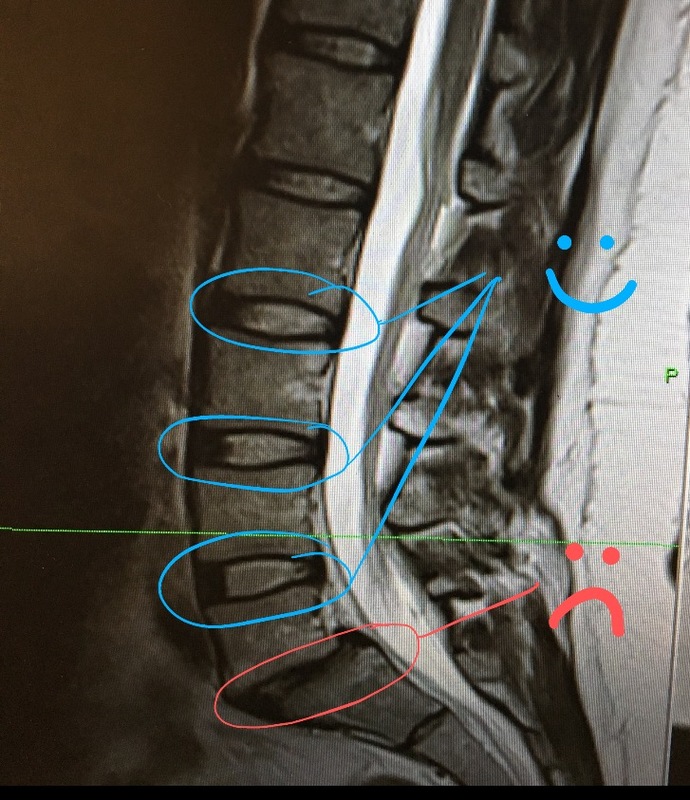 Gravity will win and keep pulling on the affected area, so I will inevitably need a spinal fusion. It’s just a matter of time. He assures me that I can’t do significant structural damage by riding bikes, so I’ve still ridden to my pain tolerance over the last few weeks. 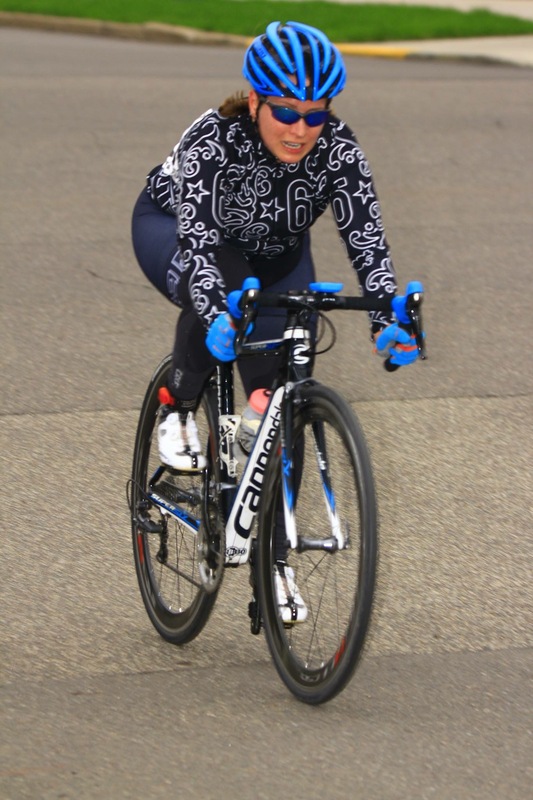 Hell, I even raced two criteriums on the night of my diagnosis as an act of rebellion against my body. Currently I’m capped to easy rides about 2 hours long before the numbness and pain sets in, and I’ve been only riding relatively smooth surfaces. I managed to sneak in a gravel ride on the Tiny Tandem with the kiddo, and I paid dearly for it. I haven’t been on a bike since and it’s been a week. Me, racing a criterium out of rebellion and anger. My leg was numb by this point and I’m WAY off the back, but it was still good to get out there and test my body. 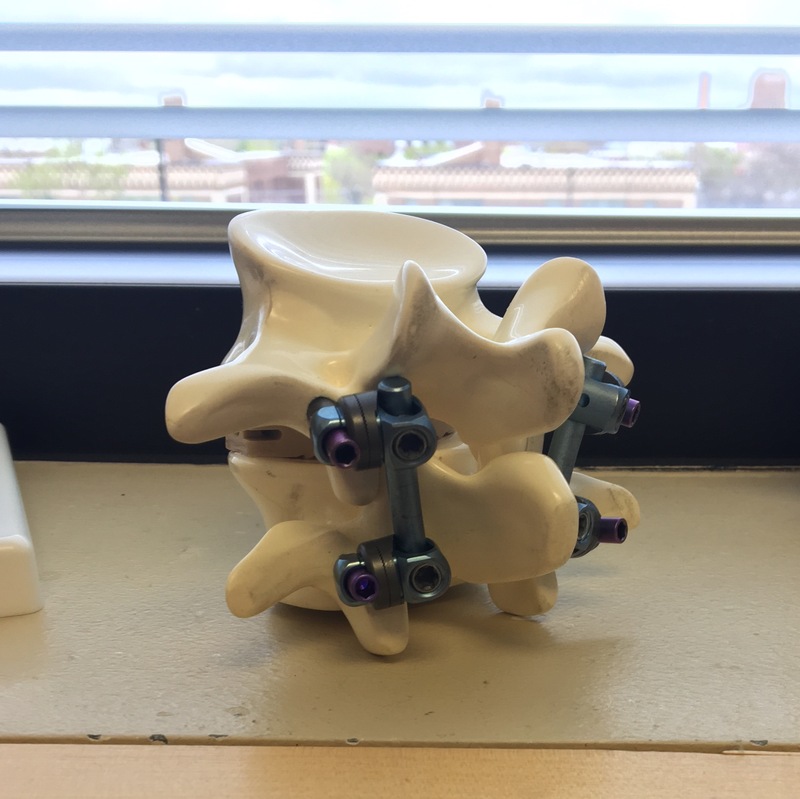 I am terrified by the prospect of a spinal fusion, and the diagnosis seems sudden even though I’ve had these problems for about 4 years. I decided to go visit Spine Surgeon #2 for a second opinion. He’s more in favor of taking medications (gabapentin, anyone? ), using cortisone epidurals, doing PT, and giving up offroad riding and ultracycling forever as a mitigation strategy. To me, this sounds like a miserable predicament. Tons of hassle, tons of pain, AND I can’t do what I love?! Long story short, I’m despondent. The dictionary defines despondent as “in low spirits from loss of hope”, and it couldn’t be more fitting. Part of me is convinced that I can grit my teeth and get through this — I have a high pain tolerance, so just deal. However, having your leg go numb while on the bike significantly affects how much power you can put out, and that’s getting old. Also, I’m having trouble functioning on the day to day stuff – I can’t sit for very long, being on a plane even for the short 1 hour flight to Chicago is excruciating, I white-knuckle the steering wheel while driving due to pain. Do I have a plan? No, not really. Physical therapy starts on Tuesday and I’m thinking about getting a cortisone shot sooner than later. If I’m still a trainwreck, I’m leaning towards surgery this summer. It’s significant (incisions from the front AND back), recovery is long (a month of not driving), and I’ll miss summer riding. I can summon some hope while I think of the years of biking ahead of me, but I get the most choked up when I think about missing a summer of riding with the kiddo. He’s little, 7 years old, and each year of riding brings so much change and forward progress. Thanks for the note 🙂 I’ve had success rehabbing feet and knees, and I’m seeing the same miracle-worker PT. If anybody can help me avoid surgery, it’s her. Fingers crossed!!!! Can’t hit the “like” lol. I’ll send happy thoughts to you (you know, like when you get a DELICIOUS cheeseburger after a ride kind of thoughts, heh). Have you ever heard of physicians neck and back? They are a group that specializes in having patients not have surgery for neck and back issues. They focus on increasing strength in the neck/back depending on which area you need as a means to avoiding surgery.I have degenerative disc disease in two spots plus stenosis and was told that surgery would be a fusion should I choose to have it or I was given the option of going to physicians neck and back clinic. I wanted to avoid surgery and because it’s not guaranteed to help anything and like you said it’s difficult with incisions from front and back. I completed the program at physicians neck and back and it’s been life changing. I’d been doing just regular physical therapy and this is a strength and conditioning program and made a world of difference. I’d see if you can get a referral to see if the program could/would work for you.